MomentPath, a mobile app and platform that allows child care providers to connect with loved ones and delivers insight into the care they provide, unveiled today an industry-first smart assistant device integration at the National Association for the Education of Young Children (NAEYC) conference in Washington, D.C.
For the first time, customers with devices such as Amazon Echos can record important activities hands-free. 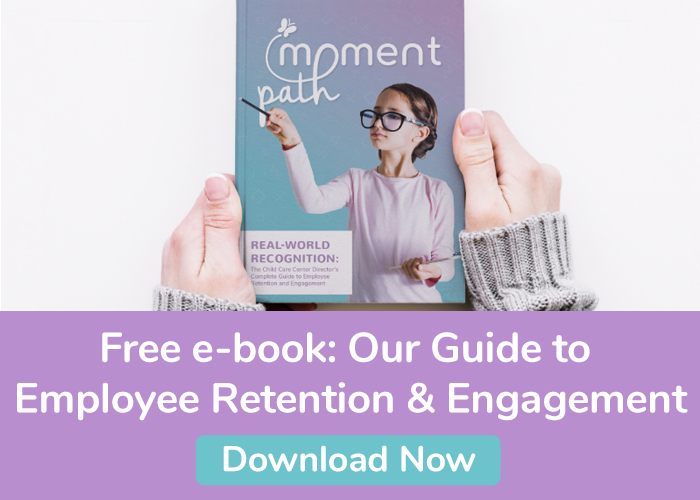 Users, such as teachers and administrators, can now use their voice to control almost all of MomentPath’s data entry features, allowing them to focus on the care they provide instead of spending valuable time picking up devices. The new smart assistant device integration allows users to record “moments,” such as naps times, meals, diaper changes, and activities throughout the day, just by using interactive voice commands that seamlessly integrate into the MomentPath platform. Caregivers can verify and adjust their voice commands at their convenience using the software app, ensuring the highest quality experience for family members who receive real-time updates. Maintaining their focus on personalized child care management software, administrators can turn commands on or off and customize how the information is stored and verified for users. Indiana-based MomentPath recently rebranded from tend.ly to better align with their core mission to help directors, teachers, and parents tackle the challenges of managing preschools and child care centers. The company has already had an impressive year with the launch of their Dynamic Billing (TM) platform, Informed Arrival, enhanced parent engagement through direct messaging, and their subsidy management system. Putting a stake in the ground as the innovation leader, they are now poised to lead the next evolution in child care management software. MomentPath is welcoming customers into its Early Access Program, which they can apply for at http://www.MomentPath.com. Those interested can also sign up at the NAEYC conference, booth #1216. Is NAEYC accreditation right for your daycare center?